Lately, talk about concussions has been all over the news and media outlets. From reports of an adored hockey player suffering a concussion to research findings of the long-term effects of a concussion, we are bombarded with information, but do we know what a concussion is. The word we are used to seeing is concussion, but it is, in fact, a traumatic brain injury. A traumatic brain injury (TBI) is a dysfunction in the brain caused by an outside force. 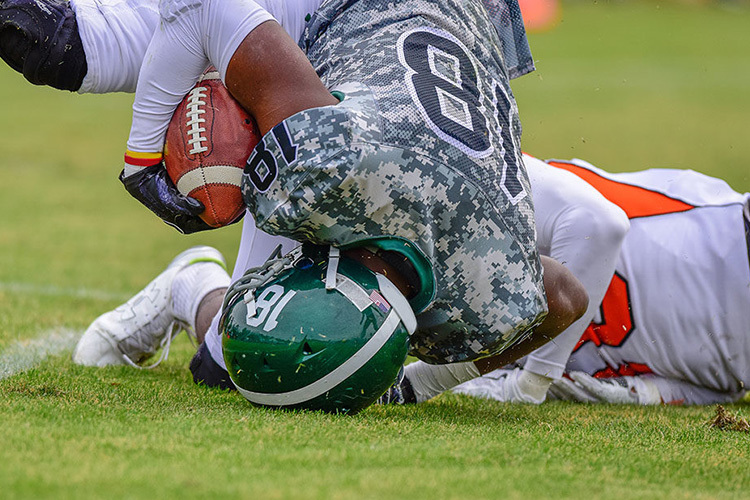 These forces can be caused by a direct contact to the head, such as two football players colliding or someone hitting their head on a steering wheel during an accident. 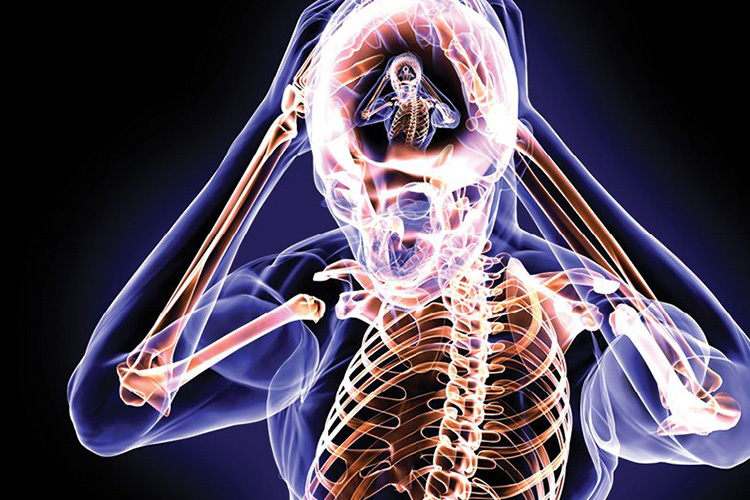 The forces resulting in a traumatic brain injury can also be the result of an “indirect” impact to the brain such as falling hard on your rear-end or hitting the thoracic spine area violently. In all of these scenarios, the impact to the head or elsewhere in the body caused a jostling of the brain. Where we once thought that the best way to describe the impact to the brain was with the coup/contrecoup terminology, we now know that there are other areas of the brain other than the front and back that are affected. There can also be a rubbing of the brain at the top of the skull, or torsions internally. This discovery has allowed researchers to come to the realization that we are very far from understanding the true nature and implications of a concussion. 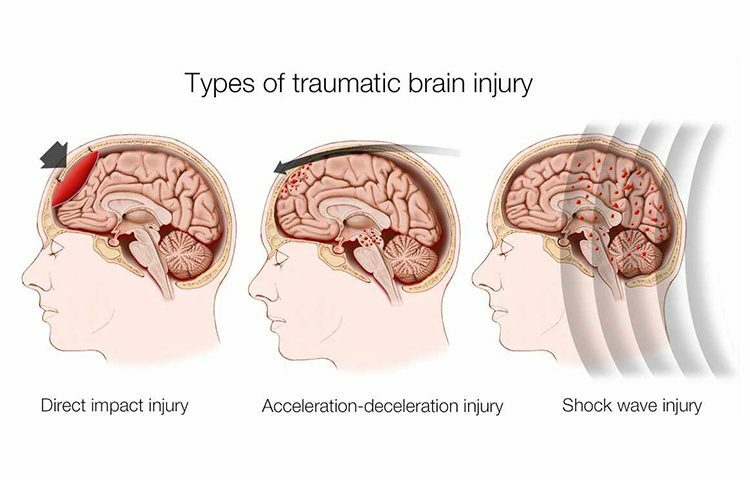 A traumatic brain injury can also be suffered from a direct impact to the brain such as a penetrating wound such as a bullet or sharp object. Again, in these cases, the force that would be needed to penetrate the skull is very high, and would surely affect other parts of the brain other that where the object passed and lodged. Newton’s third law states that every action has an equal and opposite reaction. We often see demonstrations of this in physics class in the form of two cars colliding. After the two cars collide, depending on the speed of the two of them, they are both thrown into another trajectory. So now, imagine two football players sprinting towards each other, and their heads collide. The force they put on each other will be equal, violently forcing both bodies into a new direction. The force of the impact will be enough to give both brains a good jolt. Do you think you are suffering from a concussion? If you detect these symptoms, take action! Knowing that so many different parts of the brain are affected, helps doctors, researchers and rehabilitation experts such as athletic therapists, sports massage therapists and lymphatic drainage massage therapists understand that not all symptoms and diagnoses are straightforward. The symptoms associated with a concussion can be quite vast, and can range in perceived severity, but the damage to the brain is nonetheless there. In the past, concussions were classified as mild, moderate or severe and the rehabilitation plan was made according to the perceived severity. Today, however, we have come to realize that there can be lasting effects with any “degree” of a concussion, even from a very small impact. Each concussion should be taken seriously and rehabilitated appropriately. Findings such as the discovery of CTE (Chronic Traumatic Encephalopathy) and the link between repetitive concussions and ALS has made world sporting associations revisit their practices and start to take concussions more seriously in some instances. With time, we will find that many medical professionals will learn about traumatic brain injuries, facilitating better rehabilitation. 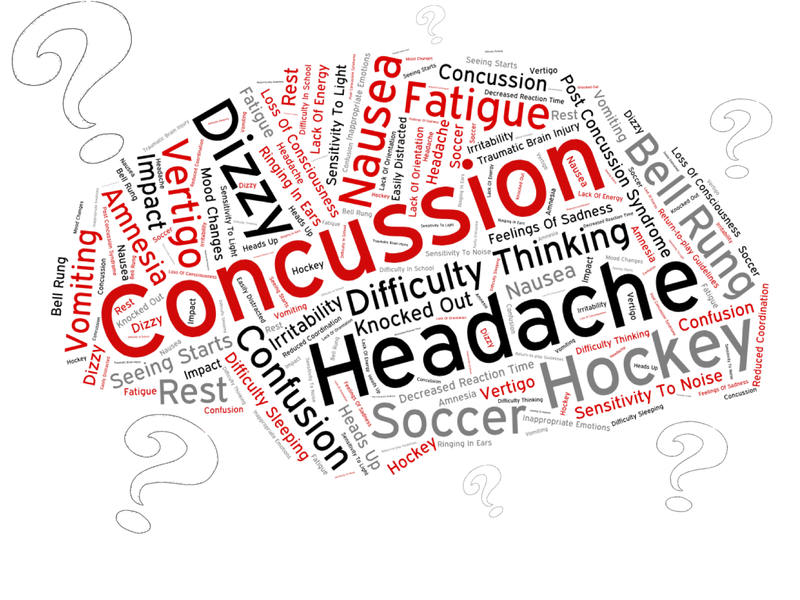 Learn how Sante & Physique can help you with a Concussion Rehabilitation.